All fear and quiver before Unicorn and RoboCat! 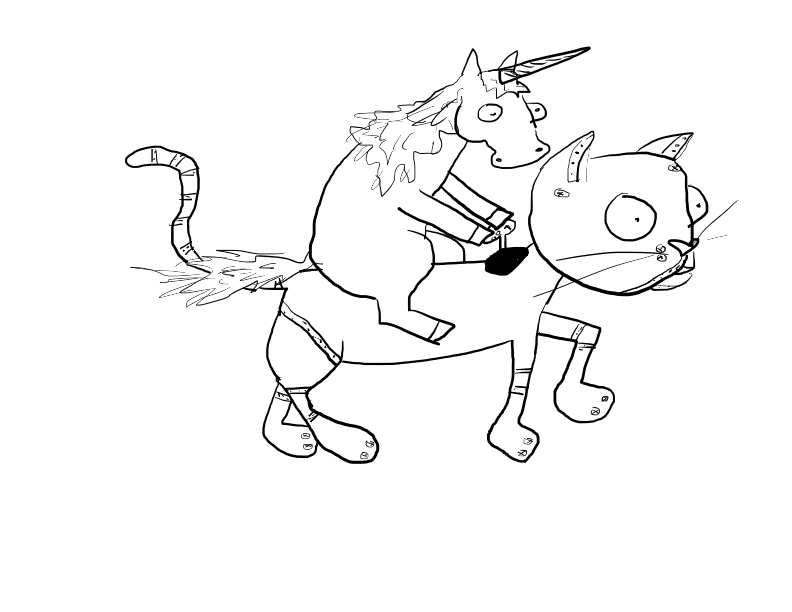 And he said a unicorn on a cat. I don’t know it he really meant the other way around but I went with it and added my own twist of a robot cat that I name RoboCat. I honestly just whipped this up in a couple of minutes because I’m tired and ready for bed and I don’t quite know how it ended up looking so pleasing to me. Perhaps this is good karma return for sitting and grading projects since the minute I got home pretty much. Yay me! Oh, we’re just sailing on a boat. Onward to battle Rob-ocat, awaaaayyy! maybe inconsiderate guys who put their pugs on slides?